Elektra One Solar ”DMELN” was built as a testbed for the integration of autonomous flightcomponents and systems. Part of it’s primary mission was to provide high resolution pictures of cities and landmarks that are afterwards converted to 3D pictures. 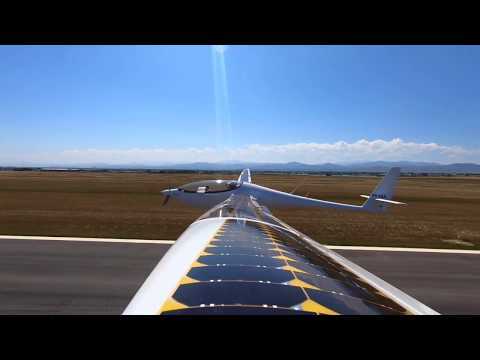 Elektra One Solar ”DMELN” crossed the Alps over ”Heiligenblut” on June, 25th 2015. A detailed documentation of the early development as well as IBSDs engagement in the development is available in Arno Trümper’s Arte production “Die Elekftroflieger – Mit Strom in die Luft”. 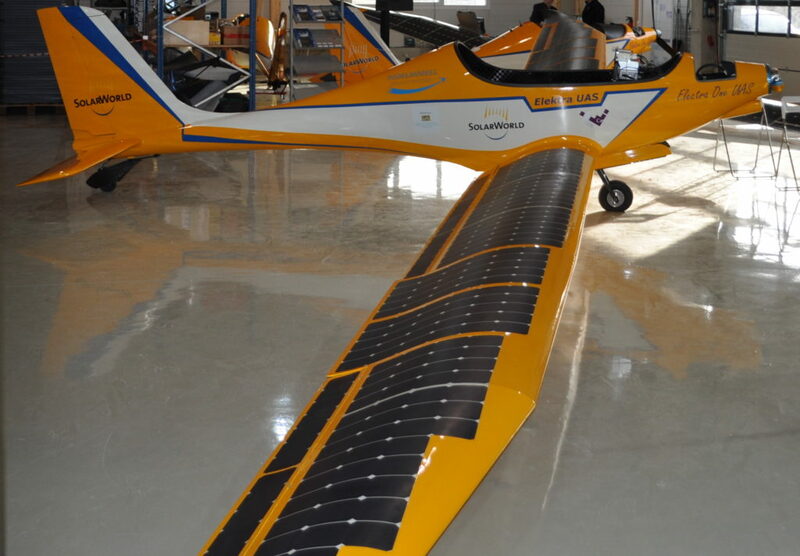 Elektra One Solar ”DMELO” was built as a testbed for a potential electric Trainingaircraft for initial pilot training. One of its specialities is that with a single propeller, the propulsion system up to the propeller shaft is fully redundant. It was on display at Oshkosh 2014 and had its first flight in the US in Denver, Colorado in early 2015. 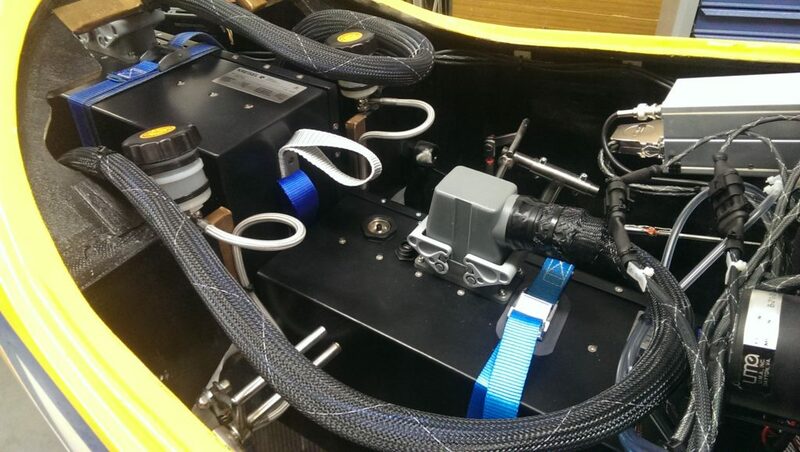 Elektra One ”DMELM” was built as a testbed and demonstration plattform to test the integration of components and to demonstrate the advantages of the Elektra One itself. Also this aircraft is equipt with a fully redundant propulsion system. 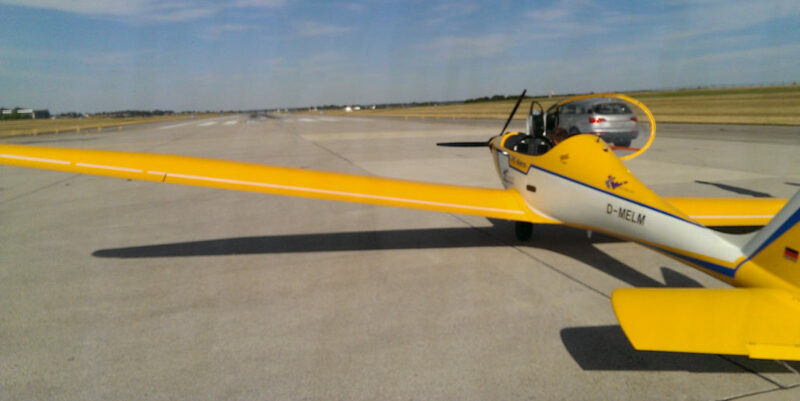 First flight was in Summer 2015. 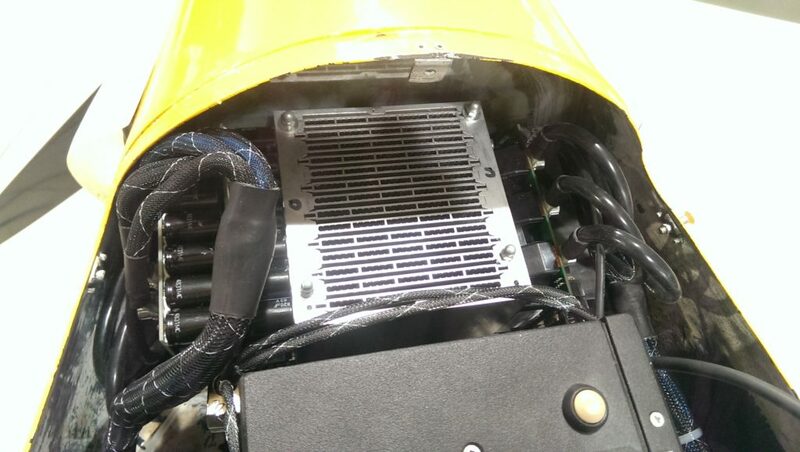 During the production of the british Discovery Channel Documentary ”Meet the superbrains” one of the two main propulsion batteries has been replaced with a new development and comparission flights took place in January 2016. This UAS (Unmanned Aerial System) variant of a Elektra One Solar was built as a development platform to test the integration of components and systems operated as unmanned aircraft. 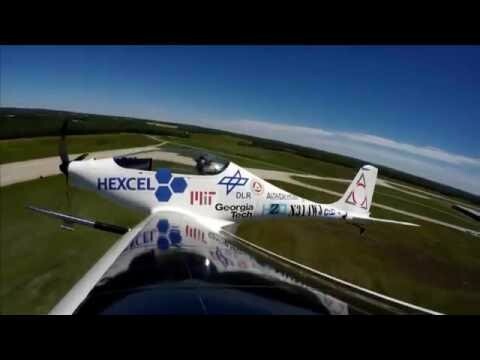 It was built very light with the focus on very low energy consumption during flight. Elektra One Solar Luminati (later refered to as V0 Substrata) was built for Luminati Aerospace as a testbed for the development of unmaned aicraft systems and components. 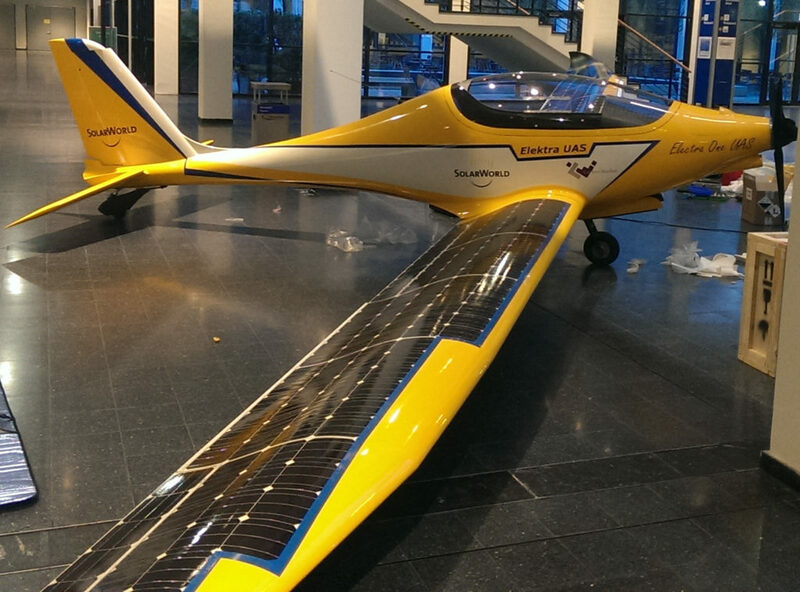 Based on the drawings of Elektra One Solar ”DMELN” plus minor modifications, it was built in only 3 month and had its first flight in January 2016. After delivery and shipment to Long Island, NY its first flight in the US took place in March 2016. 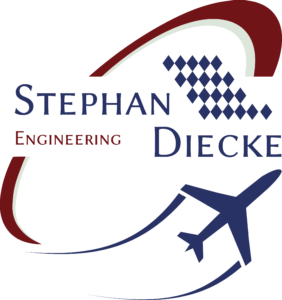 In the subsequent month after it flew into John F. Kennedy Airport to visit the team of Solar Impulse 2 on their mission to fly around the world with a Solar Electric Aircraft. Later on it accompanied Solar Impulse 2 south of Long Island on their flight from the US over the Atlantic Ocean to Europe. During this salute to their mission, Elektra One Solar was also able to fly in the wing vortex of Solar Impulse 2 to collect very impressive data with respect to drag reduction. Later on the Aircraft was flying and on display at Oshkosh 2016. 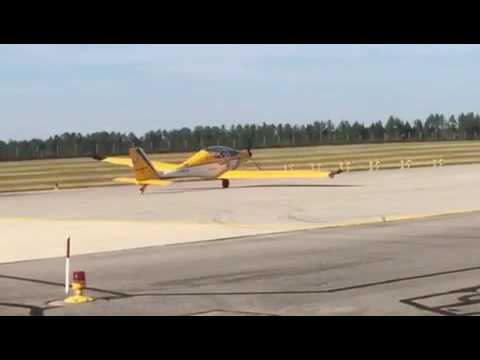 Bye Aerospace’s Sun Flyer is a two person training aircraft for initial pilot training. It will be certified under 14 CFR part 23. 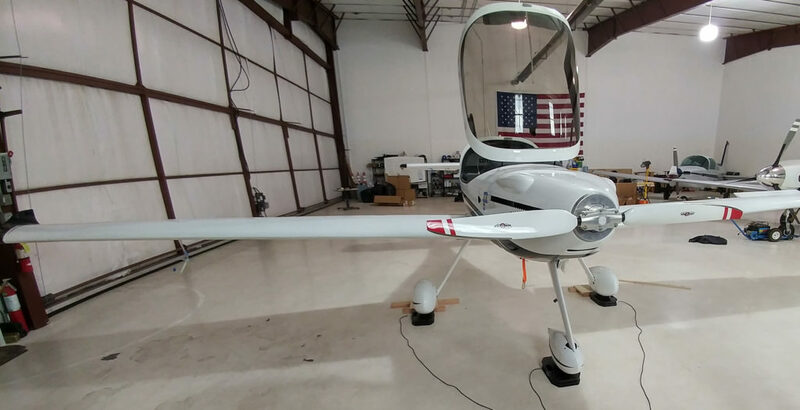 IBSD was designing and integrating the electric system as well as the primary flight display for the first version of the proof of concept (POC) aircraft. First flight took place in Denver, Colorado, USA in March 2018. Bye Aerospace’s Strato Airnet is a proof of concept optional piloted aircraft. It is built as a very light weight and high glide ratio aircraft. IBSD was designing the propulsion system concept as well as the eletric system and the primary flight display. First flight took place in Denver, Colorado, USA in August 2018.